We truly are grateful to all of our partners who have donated cell phones! Thank you all! This is the true story of James and Sharon Bratcher of Joplin, Missouri. Sharon had leukemia and James was in a desperate search for financial help. Sharon is now in remission and they got the financial relief they needed by working together with The Leukemia & Lymphoma Society in Kansas City and their Medicaid office. This is a happy story! James wanted to share his story to help as many families as he could. So, if you have just found out that you have to battle Leukemia or Lymphoma or cancer, James has some tips for you at the end of this story. I talked to James on the phone. His voice is elderly and tired. But what I heard in his voice most often while I spoke to him was relief and thanks. James just started telling me his story – his wife, Sharon, was diagnosed with Myelodysplastic Syndrome (MDS) in 2001. Around 2004, her blood count was going up and down and she had to have blood transfusions 3 or 4 times. Then, the worst news: it has turned into Leukemia. Her doctors said that she had to have a bone marrow transplant in 2006. She had a family member that was a perfect match and everything went perfectly. She recovered at the Hope Lodge in St. Louis. As I mentioned at the beginning of this story, Sharon is in remission and now only has to go get a check up every 12 months. Good things happen and prayers get answered! But then his voice flattened as he told me that Sharon’s medicine cost $1200 per month! He said his Medicaid bill went from $300/month to $530 to $687 to $857 in four months! (Now remember that Sharon has been battling MDS since 2001.) James said he spent about 2 long years working and talking to Medicaid and “hundreds of people.” But he still needed help paying the “$800 per month spend down” and he needed help paying for the medication. I told you this was a happy story! I didn’t take “no” for an answer! There is someone to talk to at The Leukemia & Lymphoma Society! The Leukemia & Lymphoma Society is a Godsend! How is this story about battling cancer with a cell phone??? The money that Cells for Cells raises through recycling cell phones goes to The Leukemia & Lymphoma Society’s patient aid fund. Families, like James and Sharon Bratcher, get financial relief from the patient aid fund. When YOU recycle YOUR cell phones with Cells for Cells, YOU help families like the Bratchers. Donate your cell phones to Cells for Cells. Lastly, if you need financial help right now, call the Leukemia & Lymphoma Society in your area. You can start with the Information Resource Center (IRC) at 800-955-4572. If you prefer, you can go to www.lls.org and at the left at the top, type in your zip code in the “Chapter Finder” box. The answer is YES! I’ll explain in a moment. 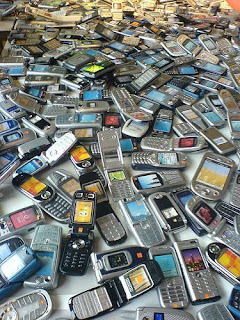 There are many cell phone recycling programs. But, do you ever wonder what happens to your phone after you recycle it? I don’t want you to think in the sense of “does it really get recycled or does it end up in a landfill in China instead of the landfill in Wichita, Kansas?” But I do want you to think in the sense of what happens with the “recycling” MONEY that the “Cell Phone Recycling Program” raises for it’s charity? Well, for those of you that donate your old cell phones to Cells for Cells YOU are battling cancer. For absolutely for REAL! Real money is going to real people that REALLY need help. SO the answer is yes! WE are battling cancer by recycling cell phones. …real people like James and Sharon Bratcher from Joplin, Missouri. They have an encouraging story of how The Leukemia & Lymphoma Society delivered financial assistance in a big way to help overcome a desperate financial situation. James has some very valuable tips for families and I will be interviewing James in Battle Cancer with a Cell Phone? Part 2. Many companies donate their cell phones without fully understanding what happens afterwards – do they follow the money? Do YOU follow the money? How can you even be sure that your Cell Phone Recycling Program is making a donation to their charity? What does the phrase “100 percent of NET PROCEEDS” mean? Is it an accounting trick or is it a real way to raise money? I’ll uncover that in Battle Cancer with a Cell Phone? Part 3. Do you want to battle cancer? Do you want to be part of a program that helps real people. YES! It really is as simple as getting your fellow employees together and boxing up your old cell phones and recycling them with Cells for Cells. And finally, here is the artwork to our new campaign. I would love to hear your comments and ideas. You can email me directly at jason dot cellsforcells (at) gmail dot com. Read this doc on Scribd: Battle Cancer with a Cell Phone? This is The Leukemia & Lymphoma Society’s 2008 Mission Video. We thought it would be appropriate to endorse this video knowing that the money that Cells for Cells raises goes to help people just like these. It is a wonderful feeling to know that someone is being helped. So, if you know someone that has helped in any way, whether by donating their old cell phone or raising money, please let them know about this video. As we begin a new year, I want to express my sincere gratitude to all of you who donated cell phone to Cells for Cells. Thank you for making Cells for Cells a booming success in our first year. Without your cell phone donations, we would not have been able to help so many families that are battling cancer. Though we only raised $15.75 in our first month (January 2007), that amount steadily grew. And by the end of December 2007, we had raised a total of $10,000.00 for The Leukemia & Lymphoma Society just by recycling your old cell phones. Right now, that $10,000.00 is benefitting Kansas City families. My hope is that the families supported by Cells for Cells will find some relief from financial worry for a time. And I believe they will be comforted that so many of you have made an effort to help them. Please congratulate and thank all of your employees for participating. Together, we’ve started something wonderful. And together, we are going to help many, many more families throughout the U. S. in the year to come. · Let me know if you currently have more phones to donate. · Write a testimonial of why you or your company got involved with Cells for Cells. Do you have a personal story? 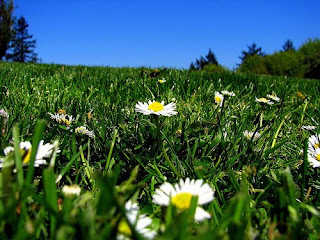 · Use your influence to get other companies involved. · Help us set our goal for 2008 – how can we raise $20,000 or $50,000 or $100,000? Shawnee, Kansas – July 25, 2007 The Cells for Cells | Recycle for a Cure program formally unveiled their new brand identity. “We are very excited because the logo clearly tells the story of the program. 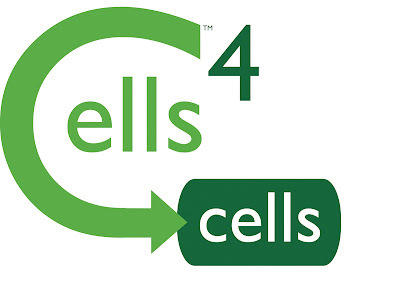 Cells for Cells takes old cell phones; recycles them; and helps people with blood-cell cancers.” Says Jason Clements, founding partner of the Cells for Cells program. To learn more about the Cells for Cells | Recycle for a Cure program and how you can support The Leukemia & Lymphoma Society, send inquires to jclements@cellsforcells.com.